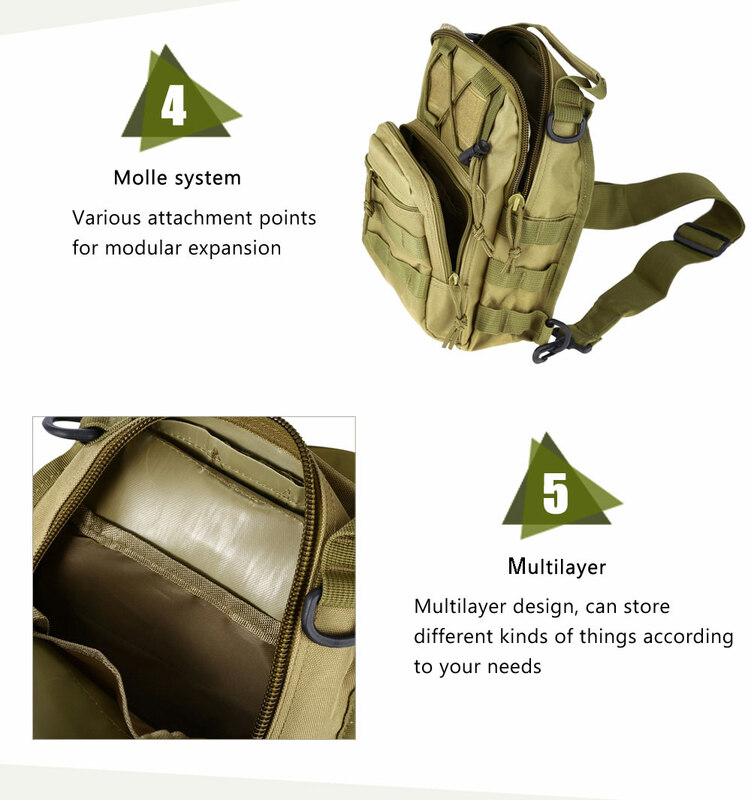 Our Military Style Compact Shoulder Sling Backpack is perfectly designed and a high-quality backpack that is suitable for any situation. 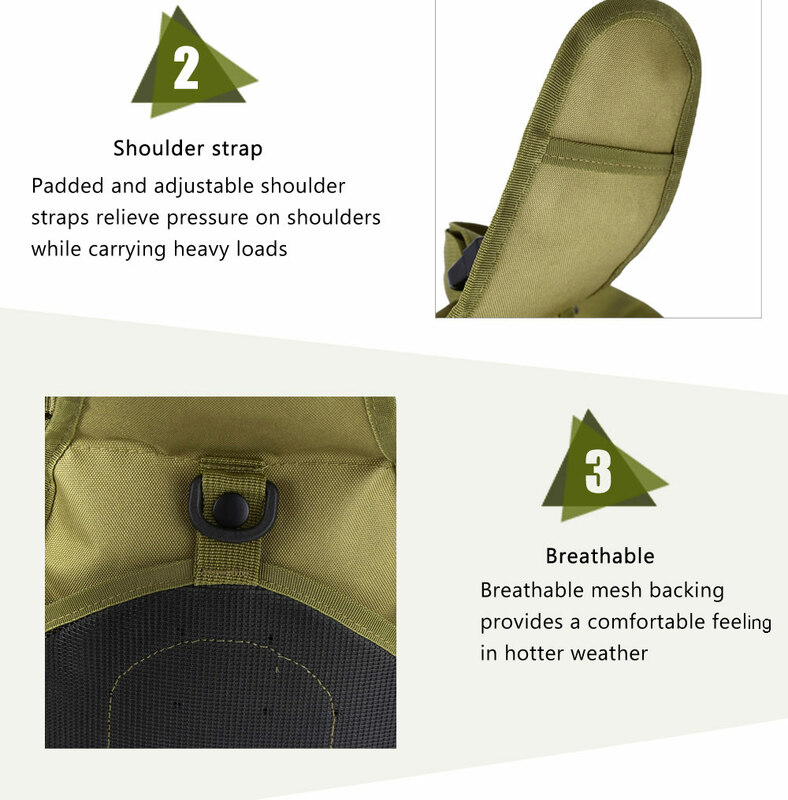 Be it camping, hiking, or traveling, this backpack has 3 carrying styles (Shoulder Bag, Chest/Back Sling, and Hand Carry). It also has multiple attachment points for modular expansion. Its constructed with 600D Oxford fabric which will not allow water to go through and damage your stuff. 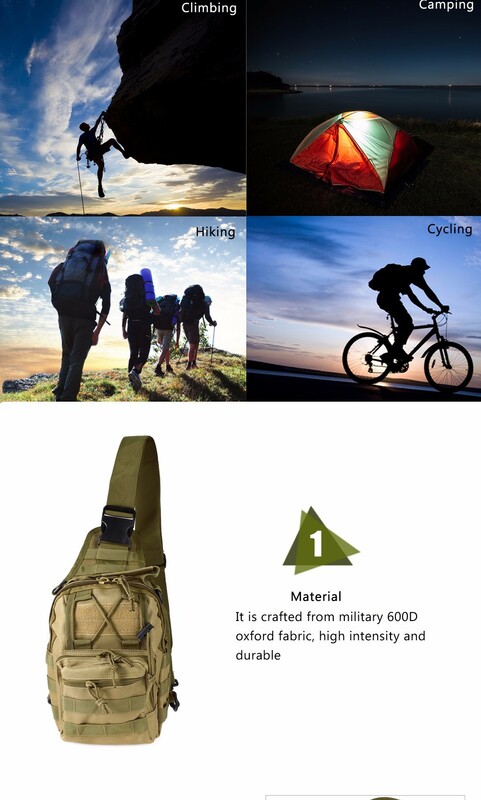 Its extremely lightweight and ultra durable. The multiple zippered pockets will keep all your stuff safe and organized on your adventures!